Whether it's a Sunday lunch or drive out of the city, there's nothing better than heading off to some leafy outskirts outside the city limits of Birmingham to a country pub. With the rise of the gastro pub, there are some places that are becoming as famous for their delicious food as their craft ales too. Here's a round-up of top gastro pubs and country pubs around Birmingham to choose from for all the family or a romantic date. The Wildmoor Oak is a gastro pub with a difference. It offers the usual British fare but also a range of mouth-watering Caribbean food options too. That's because the pub is run by executive chef Lorenzo Richards, who once worked in the kitchens with famed TV Caribbean chef Rustie Lee. Down a country lane in Wildmoor, the comforting blue building is set amid tranquil surroundings, just a few minutes away from the M5 junction 4, south of Birmingham. It has a friendly, welcoming buzz about it inside and the decor is very much of an old English pub with log fires and wooden benches. There's a dining area to one side but guests can also eat in the main pub area. There's the usual British dishes and international cuisine on the menu but the real specialities are Caribbean offerings like ackee and saltfish served with hardo bread for £12.50. It's Jamaica's national dish so if you are new to this type of food, it's a good place to start. For around the same price there is also curried goat and West Indian chicken, rice and peas or the choice of jerk chicken, pork or halloumi. Brought up in Birmingham, Richards was born to Jamaican parents and studied at Birmingham College of Food before working with Lee and later launched Frontiers at the Drum Caribben Arts Centre. He worked at London's Elstree Studios and has prepared meals for a host of celebrities like Daley Thompson, Kriss Akabusi, Levi Roots and the cast of EastEnders. When talking about food, Richards says: "My first experience of cooking was watching my mother prepare traditional West Indian dishes. The vibrant colours and enticing aromas that wafted around the house awoke in me a life-long love of food." Saltfish and ackee is one of the dishes made by executive chef Lorenzo Richards. 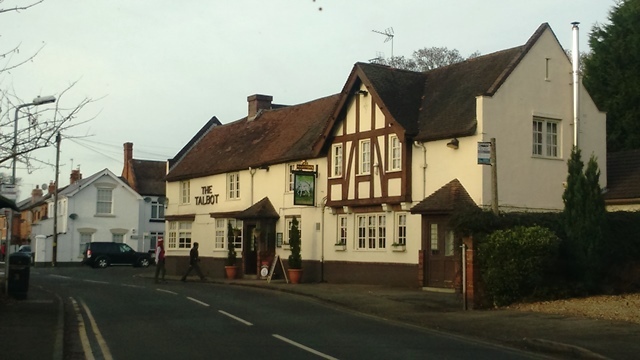 If you're taking a jaunt out to the east of Birmingham, in the wooded groves of Warwickshire, there's a lovely village called Meriden that is host to The Bull's Head. The Bull's Head has a range of menus for lunch, dinner and Sundays that is overflowing with classic choices. The main evening choices have the usual range of options plus a good choice of pizzas and salads. Main dishes cost from around £12.95 and include spit-roasted chicken with lemon & garlic confit, fries, jus and aioli or a wagyu burger with smoked Irish Cheddar, crispy onions, tomato relish and sweet potato fries and aioli. There's a range of cocktails on offer too plus regular three-course meal plus drinks options for special events like Valentine's Day. There's even 13 B&B rooms for if you end up having a few too many of the real ales or prosecco and need to stay the night. Sophisticated with that touch of class, The Bull's Head is worth a sejour out to Meriden for a meal. The Tame Otter in the village of Hopwas, near Tamworth, Staffordshire, is a real delight. It's a country pub and restaurant that nestles alongside the Birmingham and Fazeley Canal and is just past the ancient Hopwas Woods. So it's perfect for a meal after a woodland walk or a journey out passed the incredible lush scenery. 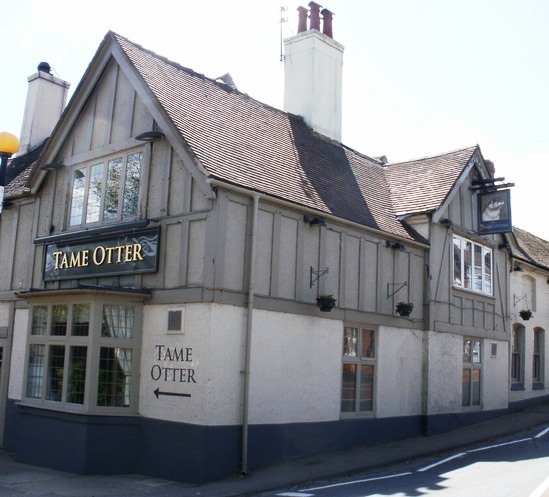 Classic and homely, The Tame Otter is traditional and welcoming inside and part of the Vintage Inns group. It's also good in the summer and warmer days when you can sit outside and eat near the calmness of the canal. Food is good and the options are plentiful with dishes like roasted butternut squash and portobello mushroom tart for £11.25; sticky crispy duck salad for £12.25 or a range of steaks, stone-baked pizzas and traditional classics like fish and chips, steak and ale pie or Hunter's chicken, all for £11 or less. The real beauty of this pub is the location, in the green areas north of Birmingham, just over the border with Staffordshire. It's in Hopwas, which is on the Lichfield Road, between Lichfield and Tamworth. The village of Belbroughton between Hagley and Rubery is just five minutes or so from the M5 junction 4, south of Birmingham. It has become quite a foodie destination as there are some high-quality country pubs in this ancient village. My favourite is The Talbot. With roaring fires, plush furnishings and wooden dining tables, it envelopes you with warmth from the moment you enter the door. Along with full menus for the restaurant and lounge areas, there are also regular guest ales plus the usual stock of premium lagers including Peroni, Nastro and Azzurro. The pub has queues forming for the Sunday roast lunches, that are made to a particularly high standard, but there are some delicious eclectic options on the a la carte menu too. There are luxurious starters for between £6 and £7 like pork & black pudding terrine; parsnip toffee and crostini with parsnip crisps; and salt 'n' pepper chilli squid with a soy and sesame dressing and Asian slaw. For the main course, options range from pan roasted pave of Wyre Forest venison with braised pearl onions, peas, gratin dauphinoise and game jus for £18 to smoked haddock with wholegrain mustard and pea risotto, a poached free-range egg and wild rocket for £15. Definitely save room for dessert as for £5.25 you can feast youself on delights like banana sticky toffee pudding; manuka honey panna cotta with brown sugar meringues, lemon curd and fresh raspberries; and peanut butter and chocolate cheesecake. This converted cider mill, near Clarverdon in Warwickshire, is an inviting haven for drinks and meals. There's roaring open fires, a cosy ambience and wafts of fine food that welcome visitors. The decor in The Crabmill is elegant and refined with a low-beamed dining area, leaded windows and flagstone floors. But as good as the surroundings are, they are nothing compared to the exquisite food. The prices are a little higher than average but the food is also more distinctive - but then this is a high quality gastro pub. Starter options are delicacies like Devonshire crab with avocado and chilli salsa, homemade brioche and a bloody Mary dressing for £9.95 or tart tatin with banana shallots, rosary ash goats cheese, rocket and pesto for £7.45. Then there are mouth-watering main meal choices that can include distinctive dishes like chicken scallopini with datterini tomato and pine nut caponata and rocket salad for £14.95; cod fillet with jerusalem artichoke, trumpet mushrooms, smoked bacon lardons, purple sprouting and aged garlic beurre blanc for £16.95; and blade of beef bourguignon with celeriac and horseradish dauphinoise and chantenay carrots at £18.95. Puddings follow along the same lines with choices priced at £5.95 and including English rhubarb and black pepper meringue eton mess and orange and black cardamon panna cotte with a fennel seed sable biscuit. Quality food in luxurious surroundings. 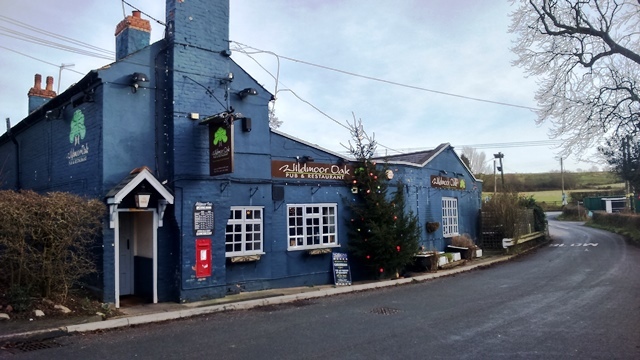 A must-see country pub in the West Midlands. Part of the excitement about this country pub is the way it looks - as though it is about to fall down. 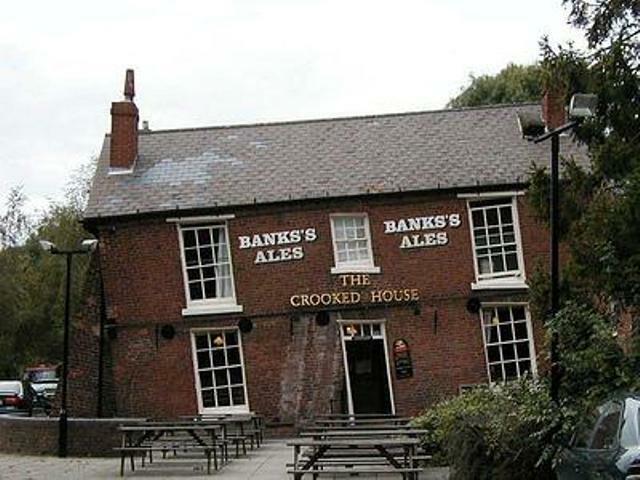 The Crooked House in Himley is between Dudley and Wolverhampton, to the west of Birmingham in the Black Country. You'll find it down a long wooded track off the B4176, hidden amid trees and fauna, which makes the journey all the more special. In summer, this can get pretty busy. The history of The Crooked House is fascinating. Built in 1765 as a farmhouse, mining in the area caused one side of the building to sink from subsidence and it means the one side is now about four feet lower than the other. It's distinctiveness led to it becoming a pub and an attraction in the area. The bar area at the front of the pub in the original building makes you feel drunk before you've even had a sip as the floor is tipped to an angle from the subsidence, as is the long bar. Don't worry though, the drinks never fall off! At the rear is the restaurant, in the modern extension where you will find the Chophouse that has a range of modern British food on the menu. 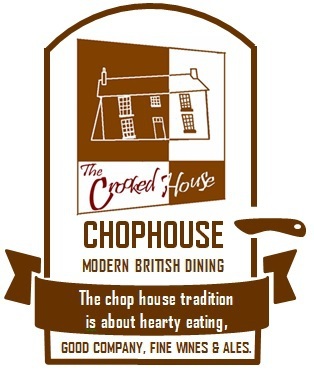 Calling the dining area, the Chophouse is part of the ambience and throwback to centuries gone by as it refers to historic eating areas when pubs were men-only establishments and deals were made over plates of traditionally cooked meats washed down by fine wines and good ale. The restaurant makes a big statement about curing its own fish, smoking its own pastrami and having minimum 28 day aged steaks on the menu. Plus there is the Black Country speciality of faggots at £9.25. Other options are a game bird, oyster and black pudding hot pot with warm soused vegetables and sautéed potatoes for £10.75. There's also bar snacks, small plates and baguettes and baps that you can get in the bar. The Crooked House is somewhere you won't forget in a hurry. For fine food in a stylish country pub setting, you'll find it hard to experience somewhere better than The Bell in Tanworth-in-Arden. It's got a good reputation is nearly always busy, so it's worth booking in advance, especially if you want to get in for the highly-rated Sunday roast. The menu is a mix of modern British dishes along with European favourites. It's regularly updated for the seasons too and prides itself on fresh produce from bread to seafood. There are plenty of specials to look out for to, like a summer gin drinks menu or locally sourced meat events when prime cuts and steaks that melt in the mouth fill the menu. The Bell is to the east of Birmingham, not too far from Birmingham Airport either, so well worth checking out if you are staying overnight ahead of a flight. The Green, Tanworth-in-Arden, Warwickshire, B94 5AL. Great list. The Wildmoor Oak sounds like it has an interesting menu.